It’s been a fairly busy weekend, with lots of late nights, and drop-ins for lunches and dinner. So tonight, when I asked my kids what they wanted in their lunch boxes tomorrow, and they replied with cheese sandwiches, who was I to complain? The only problem is that I couldn’t blog about a cheese sandwich now, could I? So, I started to think about what snacks were going into the lunch boxes this week, and decided I would make a gluten free brownie using tinned beans. This way they were filling and full of protein. 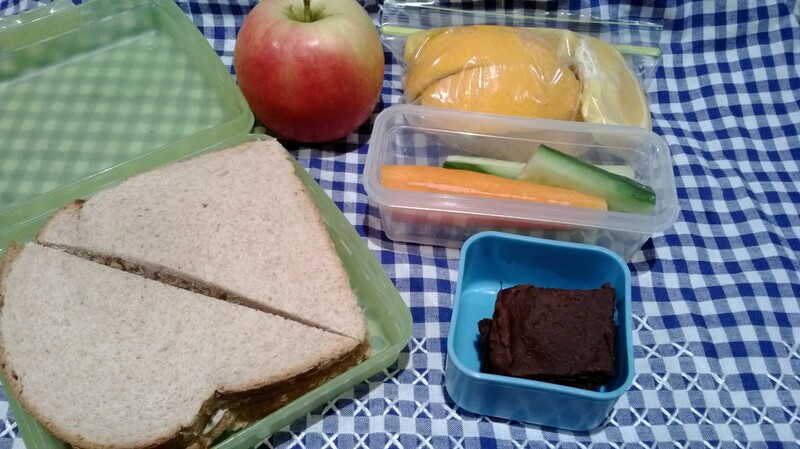 Combined with a cheese sandwich and some fruit and vegetables, I think we have a pretty balanced lunch box.